Have you spent most of 2019 decluttering your life? If your hard drives are piling up and not sparking joy (thanks, Marie Kondo! ), allow us to introduce you to a tidier solution: Zoolz Cloud Backup Storage: Lifetime of 1TB Instant Vault and 1TB of Cold Storage, which keep your files tucked away safe and out of sight. And though it usually retails for $3,600, and has been on sale for $69.99, the price has recently been slashed to an unbelievable 98% off; it’s now just $44.95. Zoolz Cloud Backup Storage not only lets you ditch your hard drive, you’ll also enjoy the added perk of saving money. It’s time to stop shelling out money to Apple or Dropbox. 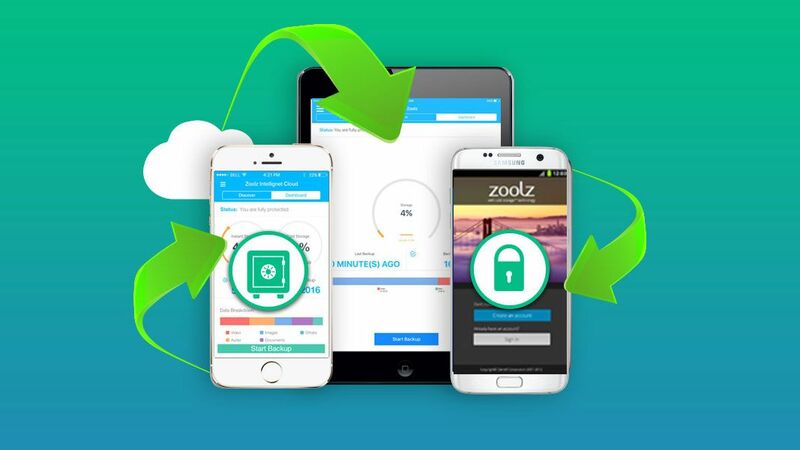 Zoolz Cloud Backup Storage does the same thing as those storage services, but for a one-time low fee with no monthly charges. That one low price grants you access to two handy storage methods. Access your files quickly and easily with 1TB of storage in the Instant Vault, or store things you might not need as often with 1TB of Cold Storage, which you can access in 3-5 hours. Zoolz also offers convenient features like bandwidth throttling, icon overlay, file retention and the ability to preview thumbnails of your images for easier access. Get this clean storage solution today for just $44.95.